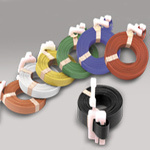 Riverside has a large selection on Polypropylene Strapping to choose from. 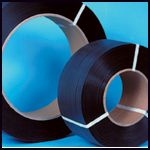 Polypropylene Strapping Coils are available in 8" cores or 16" cores. Various break strengths of Strapping is here to choose. Take a look at our need Pre-Cut Polypropylene Strapping. These pre-cut straps are ideal for remote work areas.